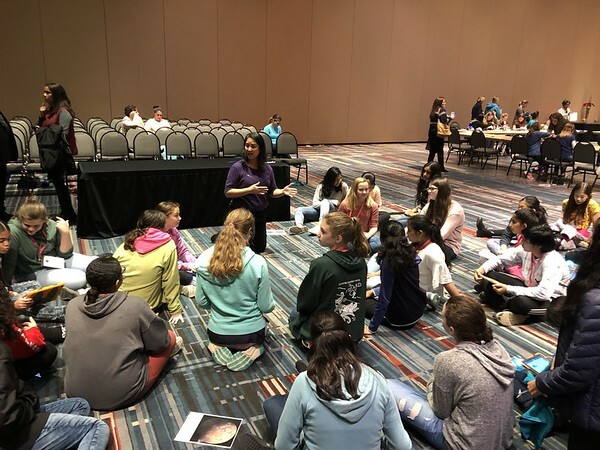 HARTFORD – The Connecticut Convention Center was filled with many soon-to-be engineers Saturday during the “Soar to the Stars” STEM experience program. Girls from central Connecticut got a hands-on experience in science, technology, engineering and math-oriented careers Saturday during the event organized by the Petit Family Foundation and the Space Foundation. 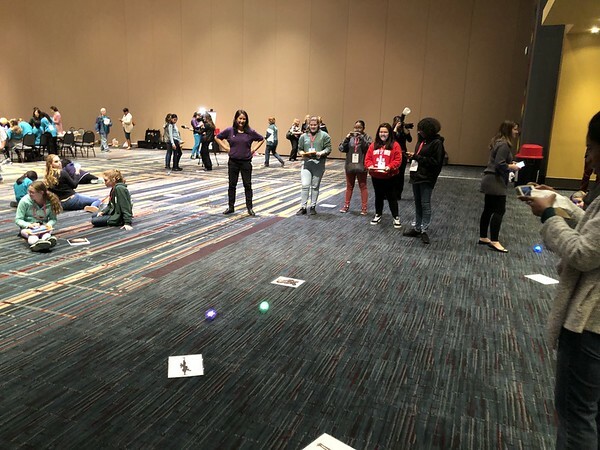 About 200 girls ages 12 to 18 from around the area, including New Britain, Plainville, Berlin, Southington and Bristol, made and launched their own rockets, used laser technology to map a planet and programmed small robots. According to state Rep. Bill Petit, R-Plainville, the goal of programs like this is to get middle school and high school aged girls interested in STEM-related fields. While women are growingly well represented in medical fields, the same cannot be said for other sciences. The event included a “Women in Science Panel” with professional women who are in STEM fields. A lunch concluded the day with featured guest speaker Paul Lockhart, a former NASA astronaut. “We do this all over the country and we’re trying to help develop the next generation workforce,” said Tom Zelibor, CEO of the Space Foundation. Dr. Kathy Thornton, vice chairwoman of the Space Foundation Board of Directors and a former astronaut, was one of the speakers Saturday. Thornton said the “open-ended” formula of hands-on programs like this help drive interest from young people. There isn’t necessarily one right answer to solve a problem, Thornton emphasized. 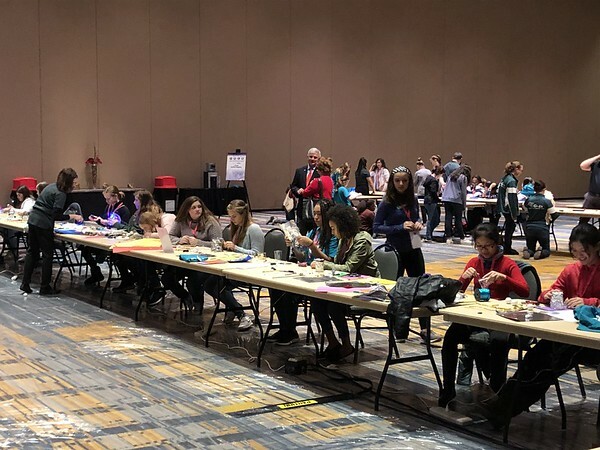 The day kicked off with four STEM experience programs that allowed girls to build and launch a straw rocket, learn how to program and drive a robot, use laser technology to map a planet and create a sculpture that lights up and moves by using motors, lights and batteries. Space Foundation educator Ruth Butler, who was operating the robot station, said hands-on learning is crucial in getting young people involved and interested in the sciences. Technology is everywhere now, she said. “This is the wave of the future,” Butler said. A STEM experience was also given to teachers who wanted to hone their skills. The Space Foundation, based in Colorado, provides all types of space-related learning activities throughout the country. The Petit Family Foundation seeks to support girls in the sciences as part of their mission in honoring Jennifer Hawke-Petit and her daughters Hayley, 17, and Michaela, 11, who died during a tragic home invasion in 2007. The foundation was formed as a tribute to the women and their passions by supporting the education of young people, especially women in the sciences, improving the lives of those affected by chronic illnesses and to support efforts to help those affected by violence. Posted in New Britain Herald, State on Saturday, 27 October 2018 14:07. Updated: Sunday, 28 October 2018 21:24.